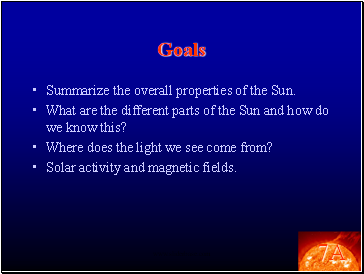 Summarize the overall properties of the Sun. 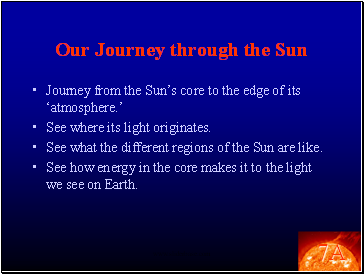 What are the different parts of the Sun and how do we know this? Where does the light we see come from? 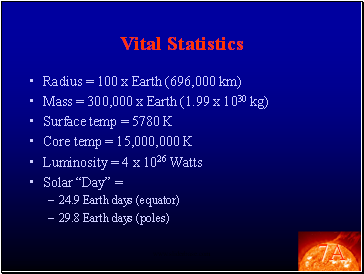 Solar activity and magnetic fields. 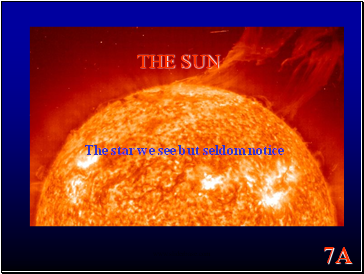 From the Sun, we base our understanding of all stars in the Universe. 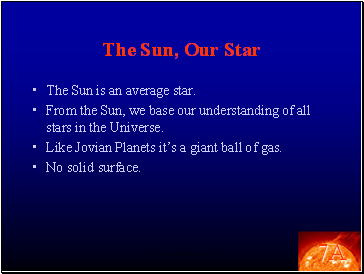 Like Jovian Planets it’s a giant ball of gas. 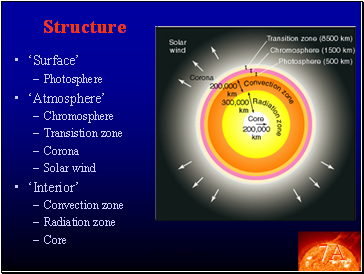 How do we know what’s inside the Sun? Theorize what happens on the inside. Complex computer programs model the theory. Model predicts what will happen on the outside. 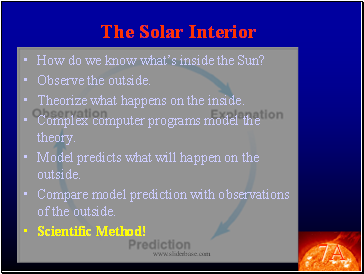 Compare model prediction with observations of the outside. 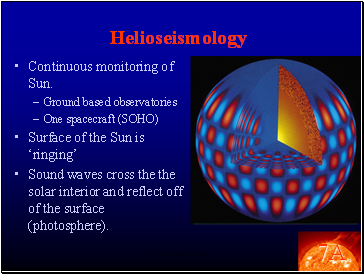 Sound waves cross the the solar interior and reflect off of the surface (photosphere). Everything in the solar system reflects light. 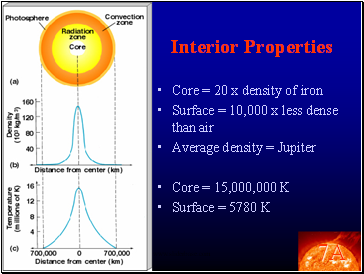 Everything also absorbs light and heats up producing blackbody radiation. Q: Where does this light come from? 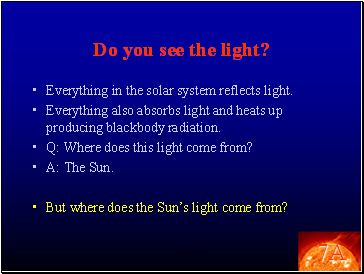 But where does the Sun’s light come from?